Acer is now preparing the release of a two new ultra portable projectors which will allow you to share your pictures, videos and presentations on the go. 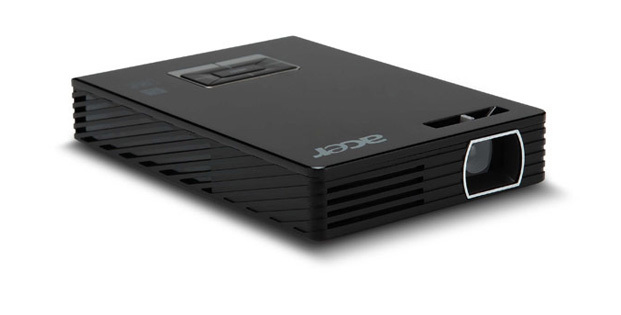 The new C110 and C112 pico projectors are USB powered and offer WVGA (854 x 480) resolution. The C110 measures just 110x 85x 25mm and weighs a mere of 175 grams. It combines the DLP technology with LED lamp technology, offers contrast ratio of 1000:1 and can project images varying from 30cm (12″) to 254cm (100″). It also incorporates Acer’s SmartFormat technology that supports a wide range of PC formats and Quick Start feature which enables the projector to starts working within 5 seconds after the USB cable is connected to your laptop. It will be available at the end of the month for £199. The other one, C112 also offers 1,000:1 contrast ratio and an WVGA resolution, but comes with an optional external battery that lasts two hours, allowing you watch an entire movie without worrying about cables, plugs and power outlet. It supports USB flash drives and is equipped with USB Slide Show and USB multimedia functions. This pocket friendly projector weighs only 220g and measuring just 137×91.5 mm, and has a control pad which is embedded on the top surface for easy use. 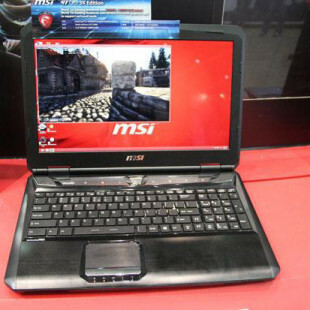 It is capable of displaying images, varying from 38cm (15″) to 254cm (100″) and also has internal speaker. Using same technologies like C110, it makes lamp replacement virtually unnecessary as a LED lamp lasts up to 20,000 hours. The Acer C112 will be available the end of July with a SRRP of £229.